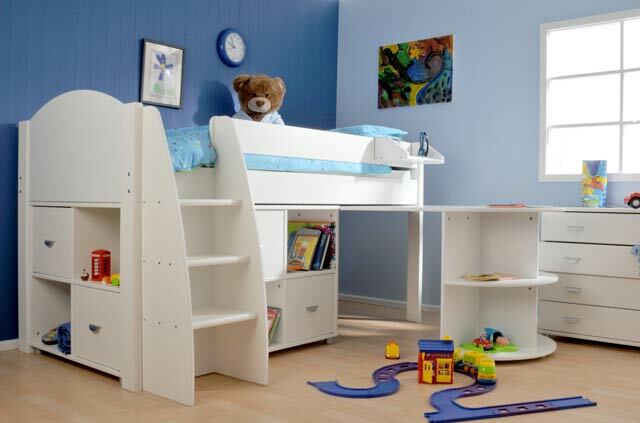 The Stompa Rondo 1 cabin bed is available in white all over as seen in the picture or in a choice of 6 alternative colour ways. 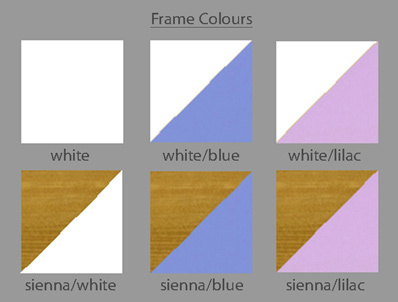 The frame has been remodelled slightly, the ladder steps are now the same colour as the frame and the box compartments are now cupboards with doors instead of pull out drawers. The Rondo 1 cabin bed is delivered flat packed and consists of frame, pull out desk and 2 cube units with 4 doors. Stompa mattresses are available at an additional cost with a choice of coil or pocket spring and can only be delivered in one shipment. 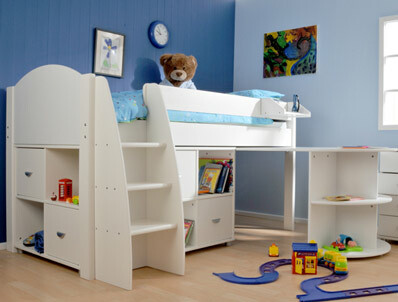 The bed is delivered flat packed to your door or alternatively Stompa will deliver and assemble for £99.